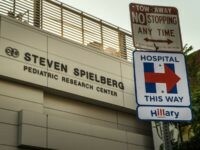 Hillary Clinton was greeted on her latest West Coast fundraising trip by a number of signs posted around Los Angeles featuring her signature “H” logo — repurposed to show the Democratic presidential candidate the nearest way to a local hospital. Sarah Silverman is “lucky to be alive” after suffering from a rare illness last week, she revealed in a social media post Wednesday. 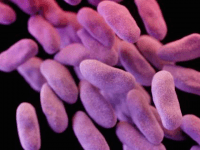 On Wednesday, another Los Angeles area hospital revealed that a “superbug” transmitted through duodenoscopes was found in some of its patients. Four patients at Cedars-Sinai have contracted the “CRE super-bug.” One has died and 67 are at risk of exposure, according to a hospital spokesman. The latest outbreak follows the death of two patients, near-death of five, and exposure to 179 patients in a similar outbreak from October through early January at UCLA’s Ronald Reagan Medical Center. 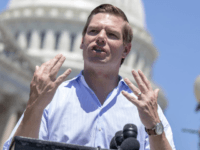 In both occurrences the culprit seems to have been contaminated body scopes. 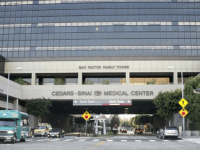 Less than two weeks after the UCLA Ronald Reagan Medical Center revealed that 179 patients might have been exposed to the “superbug”–the carbapenem-resistant Enterobacteriaceae (CRE)–Cedars-Sinai Medical Center in Beverly Hills admitted on Wednesday that four patients also contracted the same superbug, and 64 others may have been infected since last August, according to Reuters.